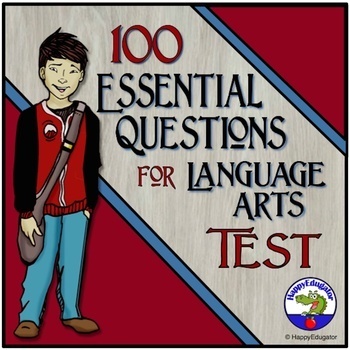 One Hundred Essential Questions for Language Arts TEST. Back to school...It can be used at the beginning of the year as a pre-test for Language Arts knowledge. 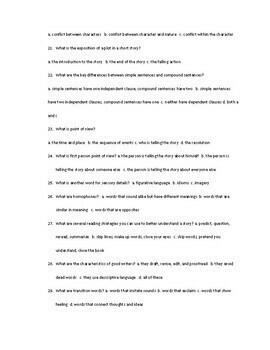 This comprehensive 100 question multiple choice test can also be used at the end of the year as a final exam. 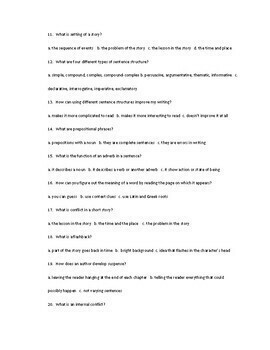 My students knew those essential questions were really "essential." 10 pages, plus key included. 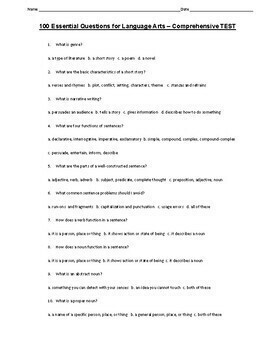 which can be used as a study guide. Tip - You can make front and back copies to save paper. If you make one class set, don't have students write their name on it, but have them write their name on their answer sheet instead. This way you can use the test for multiple classes and years.